I am having work up to my neck these few weeks. Today I had just nailed a presentation and a test in my university. In less than two weeks, my final year project is due for testing and my part is still half way there. I hope this is a good enough reason for my missing in action. So I am taking this opportunity to post up food pictures that I had took from my last year travel to Hong Kong. Yea, I know that seems like ages ago but yet, I am still thinking of it, salivating about it and still hankering to go back for me. I had a trip to Hong Kong late last month. As we all know, Hong Kong is said to be a food paradise. Well, I CONFIRMED it. Everything I eat had at least a certain degree of standard. So I’m here to share pictures of some of the food that I found really good and hit right on the Hong Kong spirit! 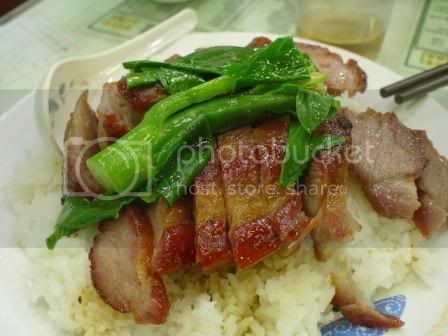 I had tried char siew fan twice, once in Hong Kong island another in either Jordan/Tsim Tsa Tsui (these are the two connecting area in Kowloon, the mainland of Hong Kong) and I certainly loved the one in Kowloon much better. The meat was huge, juicy and tender and still crispy on the outside. The sauce is marvelously sweet and goes right well with its soft and fluffy rice. DELISH! I’m missing it already…. As for another main meal, we (my friends and I) had adventurously tried out the mixed beef noodle (which consists of parts of the cow which I prefer not to know so much in detail). Nevertheless, I had a friend who was fond of eating all sorts of pig parts to test these ones out first and then rate it for us to try. As you can see, the hive look thing (which I later found out is the stomach) is surprisingly crunchy and tasty as it had soaked up whatever soup it was boiled in. Then another part was also crunchy and not too much of distinct taste. But the black part (which we presume is the liver) had a red light from my friend who managed only to choke it down. 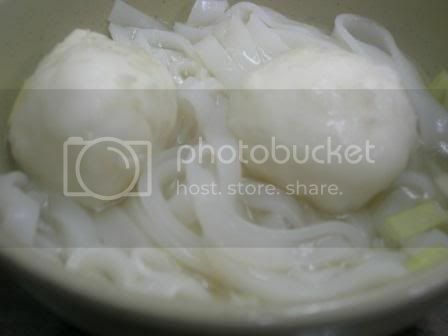 Another main meal we had was the infamous yu tan fan (fish ball noodle) which is just as its name, fishballs and mee. The different this is from Malaysia is the fishball itself! It is fresh and springy and of course with no fishy smell (seng mei) which causes me to avoid fishballs all the time and you can surely taste the authenticity of the fish in it. This dish is pretty bland compare to other rich tastes of food. 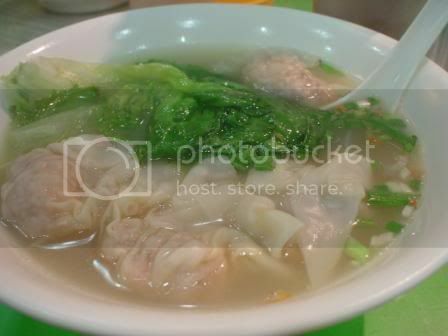 Still a must try if you’re in Hong Kong, for the fishballs’ sake. We also had seafood one of the nights in Miu Kai (Temple Street). All the seafood here are really fresh with the seafood still alive and only made to order. 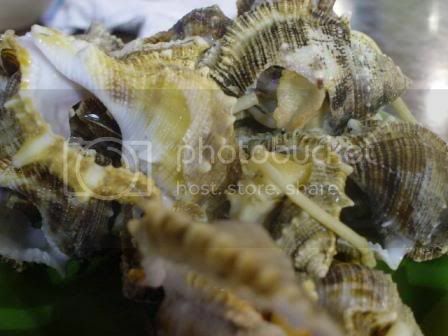 I went over to the counter, bombarded with endless choices of moving creatures, I just simply pointed out two unfamiliar seafood (I was guessing I can’t get these in Malaysia) and ask them the best way to cook it. They recommended both hot but then I chose one to be just boiled fresh. One of the dinner we also had jok (porridge) with yau char guai (fried twisted bread). 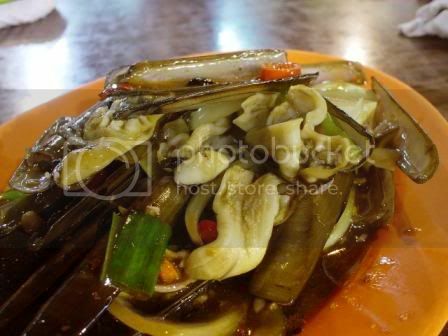 This is one of the simplest dish that I believed originated from here. Both of it just complements well with each other, the crunchy yau char guai with the soft gooey porridge that coats it so well. YUM! 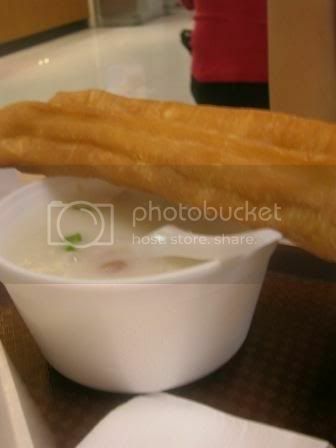 Hong Kong Jok (porridge) with Char Leong (fried twisted bread). 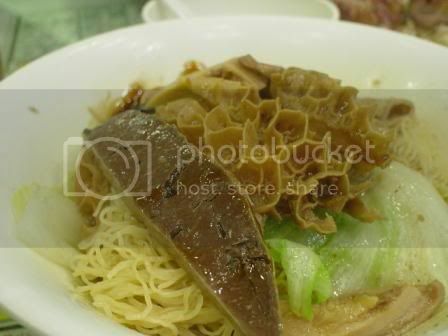 As for breakfasts, we had wan tan mee, where the wan tan are totally different than those in Malaysia. It is gigantic, with generous filling of meat and a huge prawn in every piece. It is tender and juicy and besides, the mee is thin and obviously home made material compare to those I found in Malaysia (except the ones in Taiping which is thick but still home made). 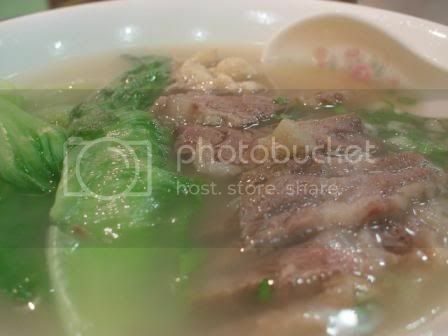 We also had ngau lam min (beef mee). Unlike the ones in Malaysia, this one is with clear soup but distinct taste of beef. The slices of beef are soft yet chewy and juicy! Of course breakfast in Hong Kong is not complete without trying out the set breakfast style in its own Hong Kong “fast food” version. 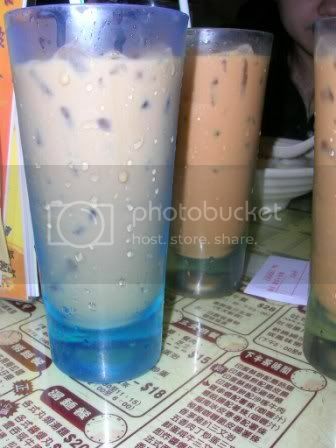 It come with variety of choices where you can mix and match and it includes the infamous drink of lai cha (milk tea), yin yong (mixture of milk, coffee and tea) and Milo. 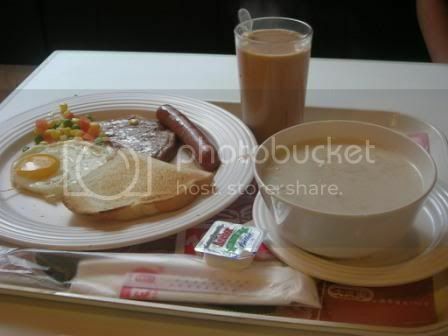 In this set we had opt for American style breakfast, egg, luncheon meat, sausage, toast, oatmeal at the side with yin yong. 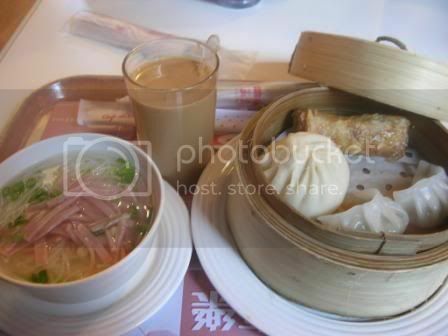 Another set we had was the mini dim sum set of mini pau, dumplings and mini springrolls, with meehoon and ham at the side plus lai cha. I just want to highlight that their lai cha (milk tea) and yin yong is absolutely heavenly, due to its richness of milk taste but still with distinct taste of tea and coffee. I suspect the difference it had from the ones in Malaysia is in the milk itself. It must be fresh!